The most intriguing animated production of 2016 wasn’t actually an animated production. 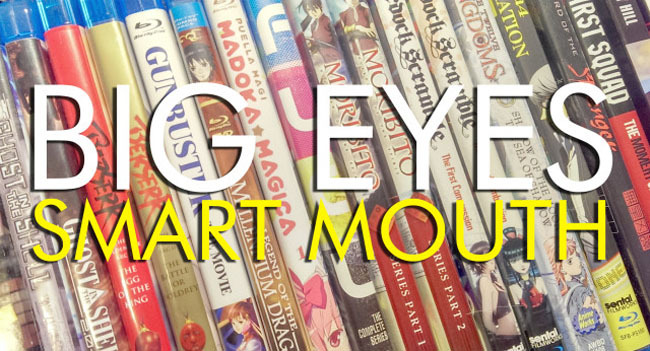 It also runs the risk of being the most off-putting, but all the discussion around that has merely reminded me of how so many people used to complain about anime because the eyes looked weird. 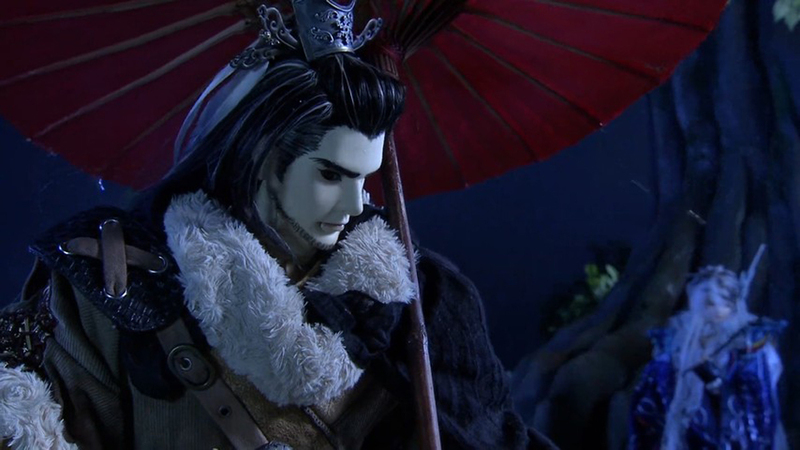 Thunderbolt Fantasy is Gerry Anderson’s “Supermarionation” at 200 miles per hour, the kind of invigorating new way to look at things that anime itself has delivered — and once you get past that surface, you find it’s also rip-roaring good fun. The payoffs here are far more than merely aesthetic. 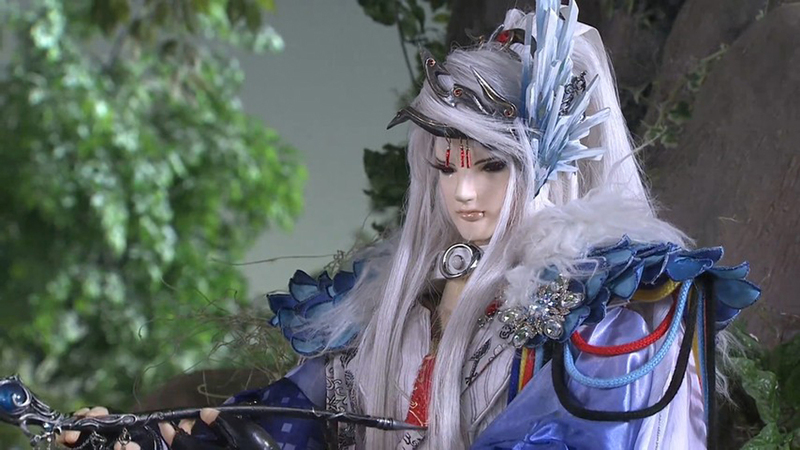 Fans of Asian live-action martial-arts movies — everything from Crouching Tiger, Hidden Dragon all the way back to ur-examples like King Hu’s A Touch of Zen — will immediately recognize what’s going on with Thunderbolt Fantasy. The show drinks from the same wellspring as those projects, but transmutes it through two things — the televised, special-effects-charged version of Taiwanese puppet theater or budaixi; and the sensibilities of a modern audience that’s conscious of such things. The last comes most by way of screenwriter Gen Urobuchi (of Psycho-Pass, among others); with this show, he’s proved he can wrangle just about any genre or sensibility thrown at him without flinching. The real protagonists, though, are the ones who blunder across Dān Fěi and end up becoming her guardians for reasons that are left open to speculation. One is the always-smiling, always-smoking Lǐn Xuě Yā, a white-haired fashion plate of a man (there’s an in-joke of sorts in that his costume sports a very visible zipper) whose status as the story’s trickster and schemer is plain the minute he opens his mouth. The other is Shāng Bù Huàn, a wanderer of gruff words and unshaven chin, one of those folks who pretends to care a whole lot less than he actually does. Lǐn Xuě Yā suspects this fellow of being a good deal more than he lets on; it takes one to know one. As the plot accrues, so does a team. Aside from the above three, a few others are compelled, or tricked, into joining up to contribute what they have. All are straight out of Heroic Bloodshed Central Casting, but with smart little touches of characterization that fill them out over time. 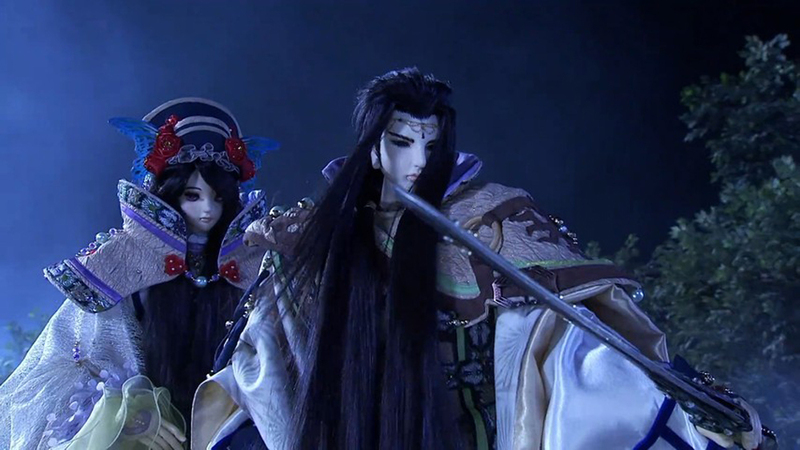 The one-eyed archer Shòu Yún Xiāo and his spirited, spear-wielding comrade Juǎn Cán Yún provide a “kohei/sempai” sort of pair, although one that turns tragic in time as Juǎn Cán Yún slowly realizes he’s made the wrong man into his idol. 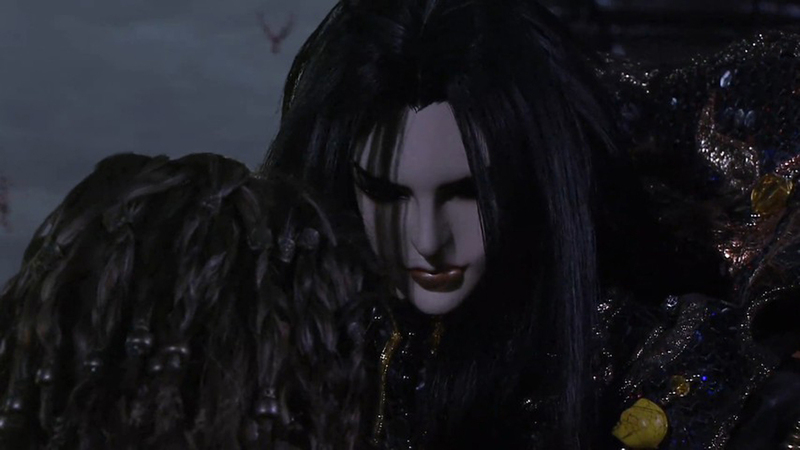 A necromancer named Xíng Hài looks like an unlikely addition to the group, not just because she’s a demon with the power to manipulate the dead but because she and Lǐn Xuě Yā apparently have ugly unfinished business. And Shā Wú Shēng, a swordsman with a thousand-yard stare, ends up being conned by Lǐn Xuě Yā into coming along in exchange for a crack at taking Lǐn Xuě Yā’s head for a trophy. No prizes for guessing all this builds to a big showdown. It’s obvious that Shāng Bù Huàn is going to have to face down a Big Bad, and that the fate of the world will be at stake. What’s less predictable is how exactly we end up there, and what Shāng Bù Huàn reveals about himself in the process. One friend of mine described his attitude as that of a “garbageman of the supernatural,” and it’s the implications of that attitude — workmanlike, not heroic — that are played up here. Let’s get the highest hurdle out of the way first: the look of the show. Instead of hand-drawn animation, we have glass-eyed puppets, whose only facial changes are by way of eye movements and an articulated lower lip. To Western eyes, this all looks stiff and unreal — think of how the puppets on Mister Rogers used to look, versus their far more articulated counterparts on, say, The Muppet Show. At least one friend of mine tried to plow through and bailed after the second episode. Too Uncanny Valley for him. It was almost too Uncanny Valley for me, too, but a funny thing happened on the way to this essay. I’ve come to see the style of any particular art form as a window to be looked through, and not just looked at. After a couple of episodes where the story was first and foremost, rather than the visuals — the show wisely modulates its action to allow this to happen — I quit thinking about the look of the show entirely. In time, it took on more the flavor of an invitation on the part of the audience to project that much more of our own imagination into the goings-on. Younger viewers do this instinctively, I think, and so like animation, the trick is to look at it all with the youngest possible eyes. For a grown audience, this is easier said than done. And again, for the first episode or two, i found myself boggling at what was going on — not just because it was novel, but also because it was inadvertently funny. The first time one of Miè Tiān Hái’s mooks got skewered and the grass was splattered with raspberry-sauce blood, I broke out laughing. But as one absurd visual after another like this came and went, I realized it was all of a piece. The show knows full well it looks absurd, but doesn’t shrink from it — it revels in it, and finds one fun new way after another to exceed like excess. 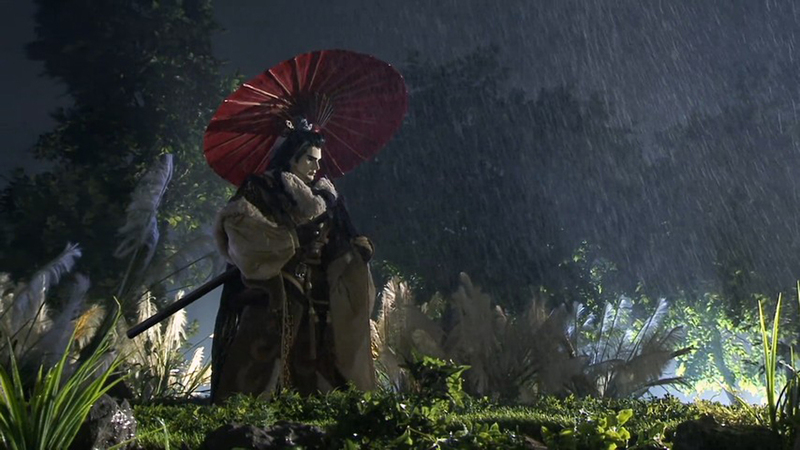 It also follows logically from the show’s own creative lineage: live-action Hong Kong wuxia movies have been no less uninhibitedly wacky in their visuals, to the point where they too almost classified as animation. There are two things I have come to admire most about the show. The first is how it’s genre-conscious, but never in the sense that it winks at the viewer. 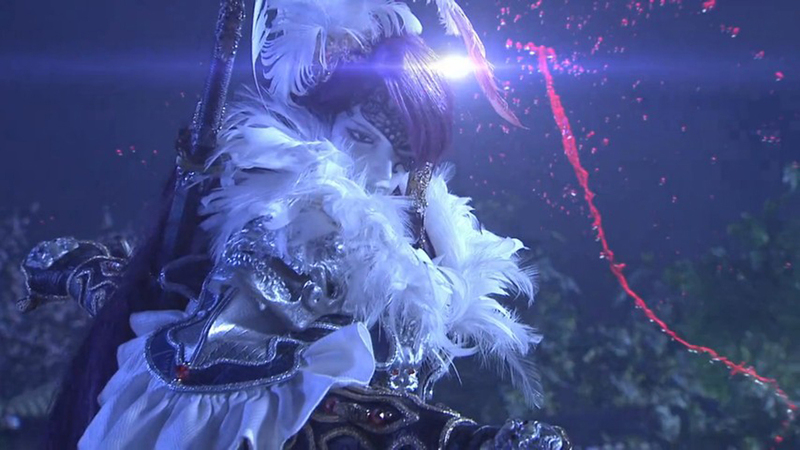 Instead, the show uses its awareness of the genre to find ways to intelligently advance the art form. We all know a good character — a good hero, certainly — has to have a motivation, and for a good part of the show Shāng Bù Huàn and Lǐn Xuě Yā have motivations that are kept deliberately opaque. By the time those motivations come to light, they’re one-ups on the stock concepts for their characters. Shāng Bù Huàn isn’t just a standard-issue Lone Swordsman, but someone who understands intimately how a sword is a tool, a device that can elevate man to godhood, or sink him to the level of the demons, but is never neutral. The show ingeniously honors this by having his philosophy empower him in the final battle in a way that would seem like, well, magic. And Lǐn Xuě Yā is a trickster — it’s hard not to get that hint from the moment he opens his mouth — but for him, it’s both a motive and a signature touch. Showing up evil as being stupid and easily galled is far more fun and effective than just defeating it outright. 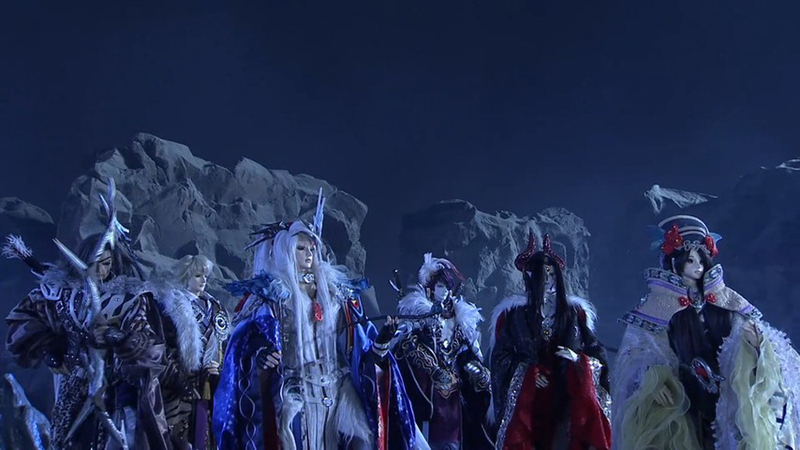 Those who called Thunderbolt Fantasy “more anime than anime” may be more right than they know. The anime aesthetic has become accepted and familiar, and now something else has to come along to push the envelope of aesthetic accessibility in a different direction. Not necessarily a new one, as this particular craft of puppetry has been around for both American and Asian audiences for a long time. But it’s never been presented to the West quite like this — not with this storytelling team, not at this ferocious pace and with this much dazzle, and certainly not for a mainstream audience that has been conditioned to be that much more accepting of such things for something like two decades. Revel in it.